Our goal is to provide you with an effortless way to find a dentist in Toms River, NJ in our extensive dentist directory. All you have to do is enter your ZIP code to review the leading discount dental plans and participating dentists available in Toms River, NJ. Sign up for the plan that is right for you and get ten percent to sixty percent off most dental care procedures from participating dentists like Dr. Jennifer Lamphier. Simply visit Dr. Jennifer Lamphier or any other participating dentist in Toms River, NJ to save on most of your Oral Surgery needs. 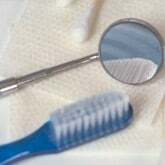 At DentalPlans.com, our discount dental plans start at only $79.95 per year and can save you money on dental care services like Oral Surgery and more. Our vast dentist database has many general dentists, family dentists and dental care specialists like prosthodontists, endodontists, and pedodontists. So if you require getting cavities filled, orthodontics, dental implants, or any other dental care treatments, you can easily search our huge dentist directory to find Toms River dentists that offer discounts on Oral Surgery and more.